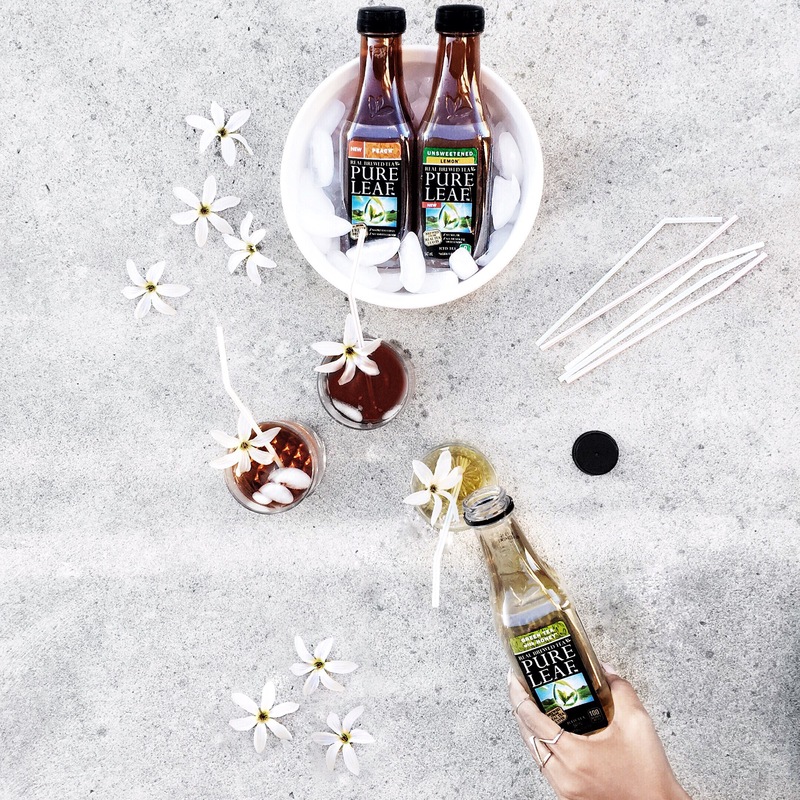 What better way to relax this summer by creating your own Iced tea combinations. Pureleaf has launched Green tea, lemon tea and peach tea in Canada so they’re a great way to create those refreshing summer drinks! (1)	In a cocktail shaker, muddle together 1/4cup of strawberry, 2 tablespoons of light syrup and 2 tablespoons of lime juice. In a tall glass, add the ice cubes, followed by the lemon juice, 1/2 cup of the cooled simple syrup (water and sugar mixture), and 3/4 cup of the Pure Leaf peach Iced Tea. Stir to combine. Depending on your preferences, you could add slightly more simple syrup for a sweeter flavor.